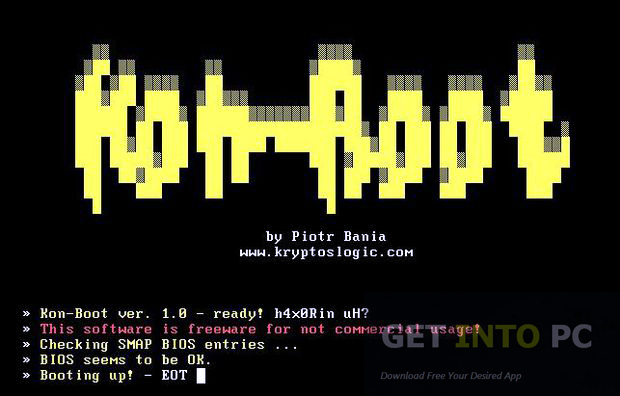 Kon-Boot Free Download Latest Version for Windows. 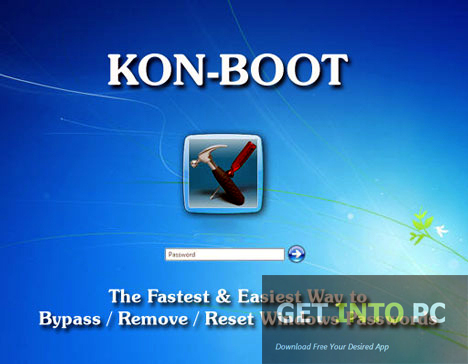 it is full offline installer standalone setup of Kon-Boot Password Recovery software for 32/64 bit PC. 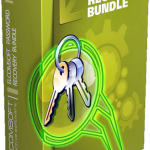 Kon Boot is a password recovery tool that can perform the resetting of password operation very easily. There are numerous other applications that can be used for the same purpose like ONTP&RE and PC Login Now. But Lon Boot is the ultimate choice in this way that it works on entirely different methods. Kon Boot, the free of cost tool comes into the arena when all the other password resetting tools fail to deliver. 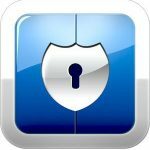 It enables you to login to any password protected system without knowing the password. What actually happens is that it changes the content of Windows kernel during booting. All of this is done virtually and there is no physical system changes. 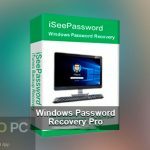 Note that if you like to recover specific application passwords like winrar file then Download WinRAR password recovery. The application is very easy to use. All you need to do is to download the free ISO file and burn it to the CD. Now boot from the disc and you will be all set to be back into the Windows within no time. 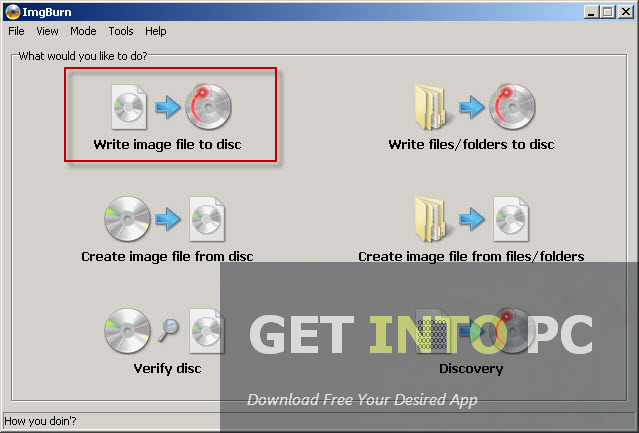 The ISO image file size is also very small compared to the other tools providing the same services. 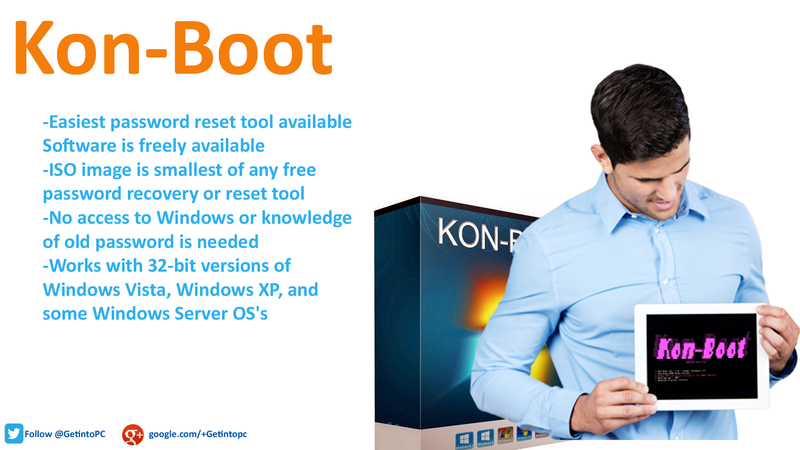 All in all Kon-Boot is a very handy application which will allow you to reset the password of your Windows OS. Below are some noticeable features which you’ll experience after Kon-Boot free download. 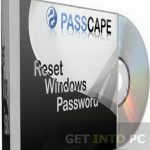 Can reset the passwords of Windows. Will deliver when other tools fail. Changes the content of Windows kernel during booting. ISO image file size smaller than other tools. Before you start Kon-Boot free download, make sure your PC meets minimum system requirements. Click on below button to start Kon-Boot Free Download. This is complete offline installer and standalone setup for Kon-Boot. This would be compatible with both 32 bit and 64 bit windows.